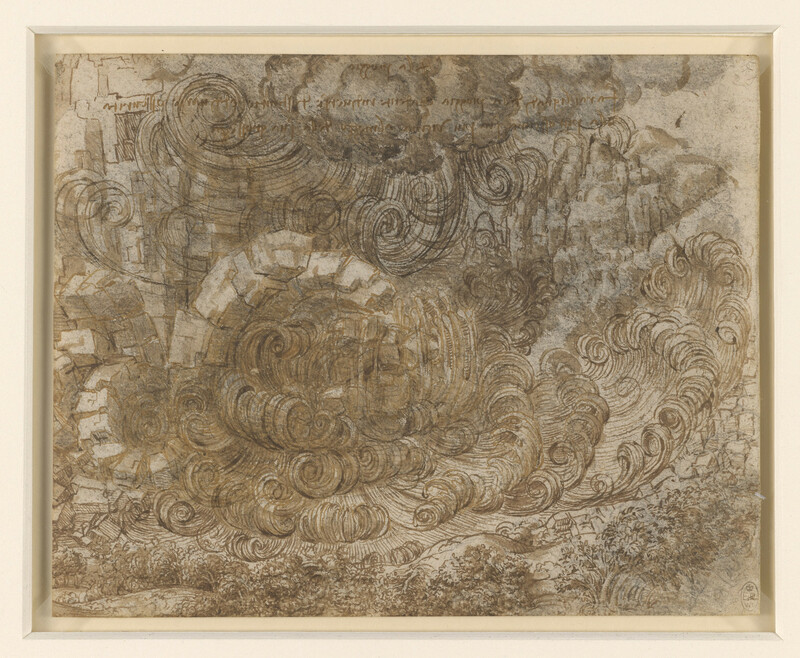 A drawing of a dramatic flood in which the atmosphere above a wooded hill has materialised in a gigantic explosion, with jets of water shooting out from the centre. Square blocks of stone topple and fall from the sky. Above is a dark cloud from which jets of rain curl down. There are some notes written close to the upper edge.